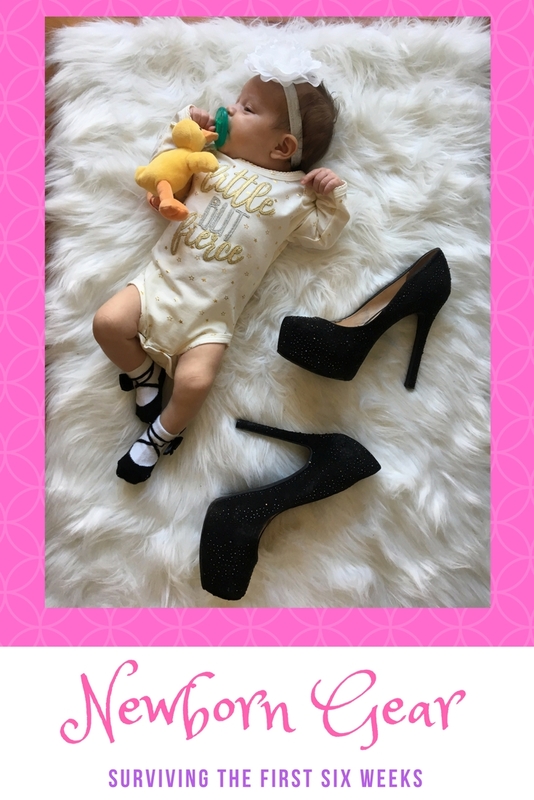 Gear to Survive Your Newborn's First Six Weeks — The Life and Times of a Young Professional in San Antonio. Starting my baby registry was really overwhelming. In fact, I'd never changed a diaper before my baby girl. I'd never even babysat a baby. I'd held a few babies every now and then but no real experience with babies. Needless to say, I was really terrified and overwhelmed. If you're pregnant and reading this, I know you're overwhelmed with lots of unsolicited advice and horror stories from other mamas, so I'll spare you the advice. But, the best "advice" I received was my sister in law's assistance building my registry. She helped me break down the list into the must haves and wants. 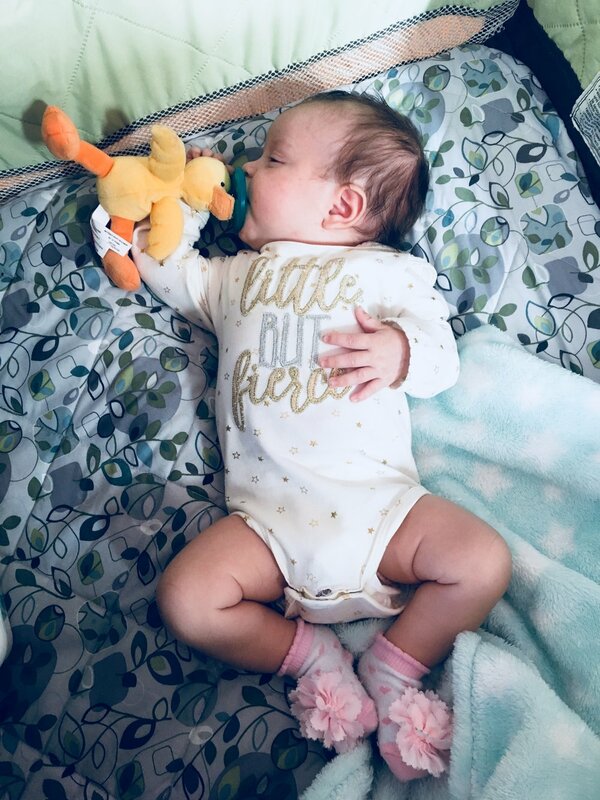 Now that Baby Marisa has been in our lives for six weeks, I wanted to share the gear that has helped us as we adapt to life with our baby girl. TJ got really good at swaddling during our hospital stay. Marisa looked so peaceful and sweet wrapped up in her little blankets. The moment we got home, however, she began to break out of the blankets and I worried about her suffocating at night! 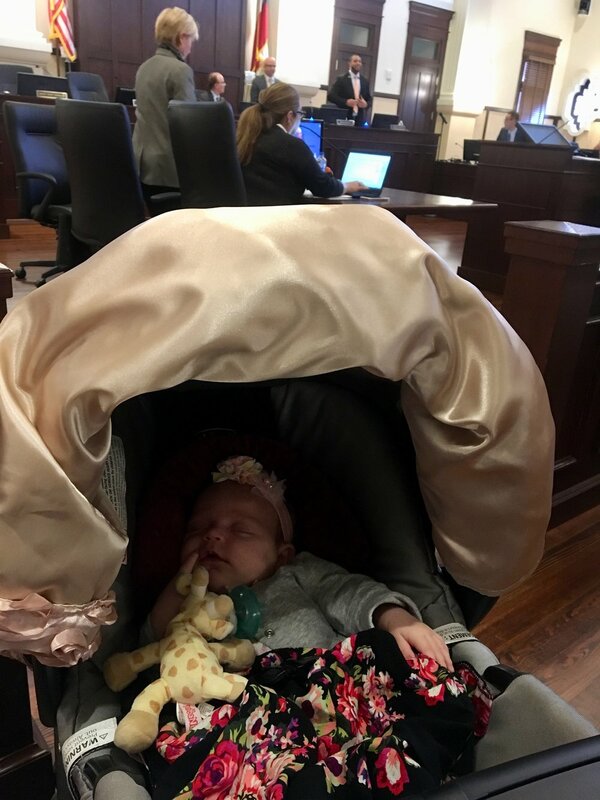 I tried the velcro swaddle blankets but found that as I changed her diaper in near darkness at night she was started by the velcro and began to wake up because I had to take her completely out of the swaddle. These pods keep her nice and tight, without fear that she will break out and end up covered in blankets or break out and startle herself awake. She'll outgrow these soon but they've improved her sleeping immensely! I was determined to use my ErgoBaby carrier and wear baby girl everywhere. I still plan to! But in the newborn phase, I'm just asking for trouble pulling her out of her deep sleep in her car seat and plopping her into her carrier. The downtown life has been significantly improved by the easy to use Snap N Go Stroller. I'm able to place her infant car seat in it with ease and take her for strolls on the Riverwalk or at the store. The bottom of the stroller has a basket for extra odds and ends. As I added this to my registry I wondered what the point of another pillow was. I'm in love with this product! I had an unplanned C Section due to complications with my labor and have had pretty bad back pain and the constant picking her up and down from her pack n play or bassinet was a big strain for me. The lounger pillow makes it possible for Marisa to join me on the sofa and put her within arms reach to soothe her or pick her up to hold. When she outgrows it I think it'll make a great pillow for us! It's really soft and easy to wash too. I'm not here to lecture you on whether or not and when to use a pacifier, but I can tell you that my baby girl loves these pacifiers! She received a duck and a giraffe from some good friends of mine and they are fantastic. The stuffed animal part gives her something to practice holding on to and keeps it from falling off or out. We knew ahead that in December we'd be taking a trip down to the RGV for Christmas with our then three month old. I immediately panicked thinking about the gear we'd have to pack, including sleeping arrangements and where we'd change baby girl, etc. The Pack N Play has been a fixture in our living room, making it easy to set her down for a nap and keep an eye on her, change her and give us a single spot to keep all her things in one easy to reach spot. There are lots you can choose from. I couldn't do without it! Of course the real thing that has saved us has been the generous parental leave courtesy of the City of San Antonio. It's been an adjustment not working full time in my office, but being at home to care for our newborn has been rewarding and needed. Recovery from an unplanned C Section is rough, as is learning to sleep in naps and caring for a new life. I'm so thankful for the time I'm getting to spend to focus on her and recharge my batteries. Every employer should give parents the opportunity to spend critical time with their new families. In fact, it's made me think more clearly about my career and think about new things I'd like to do at work, viewing things from the outside in. I think we'd have a much more productive workforce if parents were allowed to take time to focus on their families.